Lucky Bamboo Crafts will be an exhibitor alongside lots of fantastic businesses and programs. Make plans to attend this vibrant and educational (FLAME) conference focused on teachers, administrators, language programs, travel programs and anyone interested in enriching their students with language. Registration is required and you can see more about the event here. I hope to see you there! Peabody Essex Museum will once again host a wonderful celebration for Chinese new year. You can count on crafts, food, workshops and dazzling performances. Lucky Bamboo Crafts will be part of the fun! Come join Lucky Bamboo Book of Crafts author Jennifer DeCristoforo and the Children’s Library staff to celebrate Chinese New Year! Schedule and activity details to come! Join Lucky Bamboo Crafts for an Asian celebration of the new year with fun, culture and crafts! China, Korea and other Asian countries have unique traditions to share. This wonderful Children’s Museum in Portland, Maine specializes in world culture programs and immigrant stories. The museum is partnering with Chinese and American Friendship Association of Maine and other guests from local Asian communities. Join Jennifer DeCristoforo and Lucky Bamboo Crafts in Chinatown, Boston for their huge Lunar New Year celebration hosted by Chinatown Main Street! What better place to be for parades, food, Chinese cultural performances and of course, loads of hands-on crafts for the kids. Join Jennifer DeCristoforo and Lucky Bamboo Crafts for this Year of the Pig Chinese New Year celebration. The festival includes cultural performances, workshops, delicious food, a lion dance and of course lots of great hands-on crafts for the kids! We hope to see you there! Join CAFAM and Lucky Bamboo Crafts for special activities celebrating the Chinese Mid-Autumn Moon Festival. This wonderful children’s museum in the heart of Portland, Maine always offers lots of educational fun and often hosts multicultural events. The activities and crafts are free with museum admission. The Dragon Boat & Asian Festival in Hartford CT has invited Jennifer DeCristoforo back Saturday August 18th, 2018 to bring Lucky Bamboo Book of Crafts to this wonderful Asian culture event. She will offer hands-on children’s Chinese craft activities and be signing books. 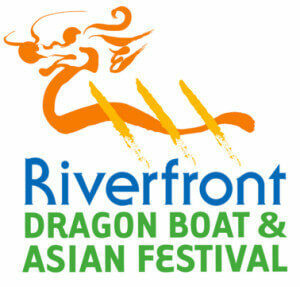 Come to Hartford and enjoy all the free activities, performances, food and exciting dragon boat races. It is held in a beautiful city park along the river and a perfect family event for a warm summer’s day! This day is not to be missed! Join us for hands-on crafts and fun with Jennifer DeCristoforo, author and publisher of Lucky Bamboo Book of Crafts; Over 100 Projects and Ideas Celebrating Chinese Culture. This is a FREE event for all ages and all supplies will be provided. Drop in or stay for a while! The Chebeague Island Library is hosting this event.